Broadsheet was founded by a group of women who wanted to provide a feminist viewpoint on current issues, from politics to art to sexuality to crime. It also played an important part in women's activism, including Māori activism, and was prominent in debate on socio-economic issues. 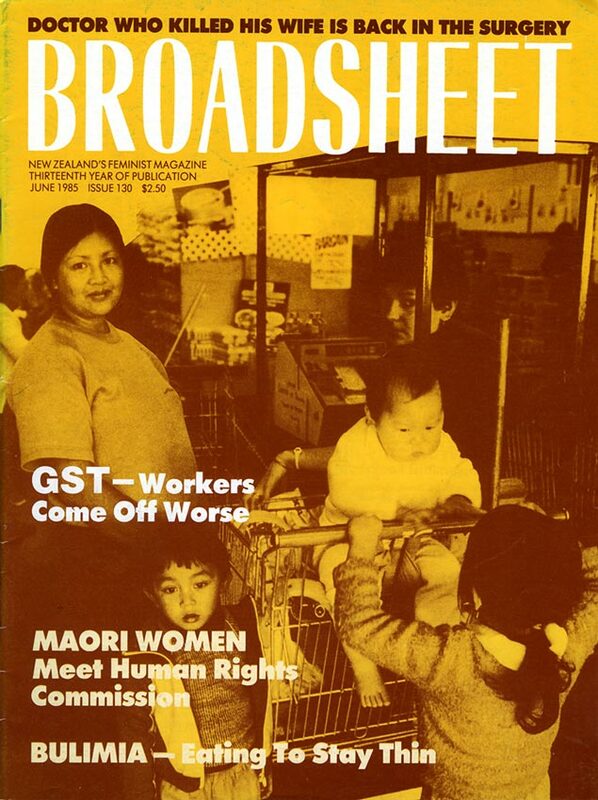 This issue from June 1985 included an article on the impact of the new Goods and Services Tax (GST) on workers.